Purpose: Continuous improvement is a means of promoting and working through business excellence. However, due to the complexity of the implementation process, many companies fail. Some authors consider that this partly due to the lack of studies which develop and validate theoretical constructs in order to push theory in the CI field. Therefore, this study aims at identifying and better understanding the factors that could act as enablers when implementing a CI initiative by designing and analyzing a new theoretical construct. Design/methodology/approach: After conducting a rigorous literature review and consulting a group of experts, Rasch Measurement Theory was used in order to validate the construct and rank the enablers. Findings: After validating the construct, a hierarchy of priority was obtained, being the following enablers the most important ones: establishing clear objectives, training, recognizing the achievements and learning from the CI process itself and motivation. Practical implications: Identifying the key enablers could help those companies that are about to start with the implementation process. Additionally obtaining a general classification could help managers to make good decisions and handle these enablers, fostering the most important one. Originality/value: This paper provides additional evidence regarding the main enablers that an organization that decides to implement CI can foster. Additionally, as far as authors are concerned, this is the first paper that defines a theoretical construct concerning continuous improvement enablers. 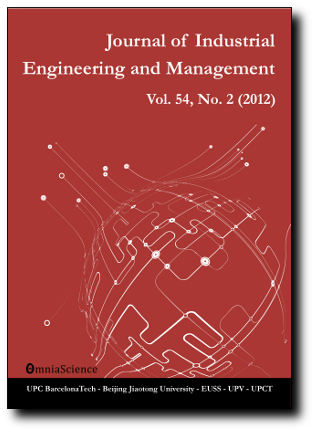 Going one-step further, this paper obtains a hierarchy of priority, identifying the main enablers according to managers’ opinions.